For the third consecutive year, San Antonio Aquarium is hosting their annual backpack drive for San Antonio area school kids. The drive will last through August 4, and everyone who brings a full-sized backpack between now and then will receive a free Admit One ticket to San Antonio Aquarium. 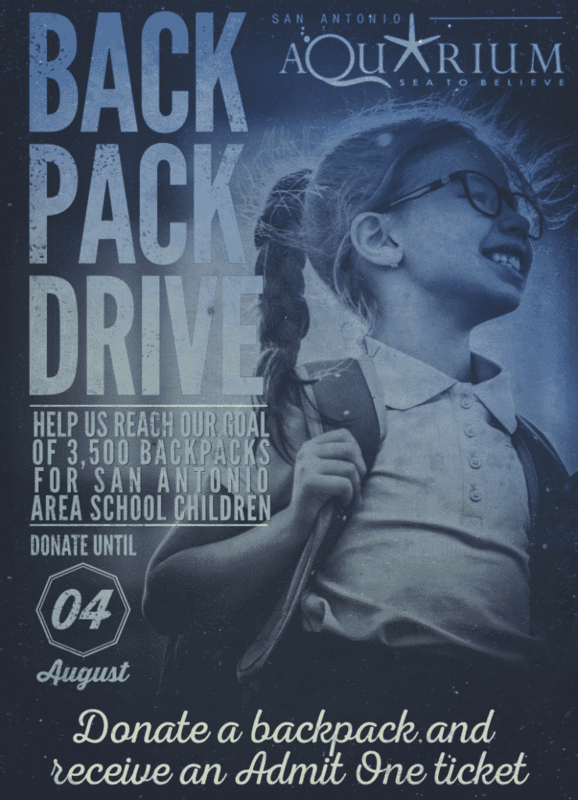 We’ve received at least 3,500 backpacks during the first two years that we ran our backpack drive, and this year we’re looking to eclipse our mark of 3,800 backpacks from the inaugural drive. During the first year, we were able to deliver 3,500 backpacks to the Back to School Expo and sent 300 more to a local charity. This year, San Antonio Aquarium is once again the primary sponsor for the Back To School Expo taking place in Exposition Hall B at the Freeman from 9 a.m. to 1 p.m. on August 5. 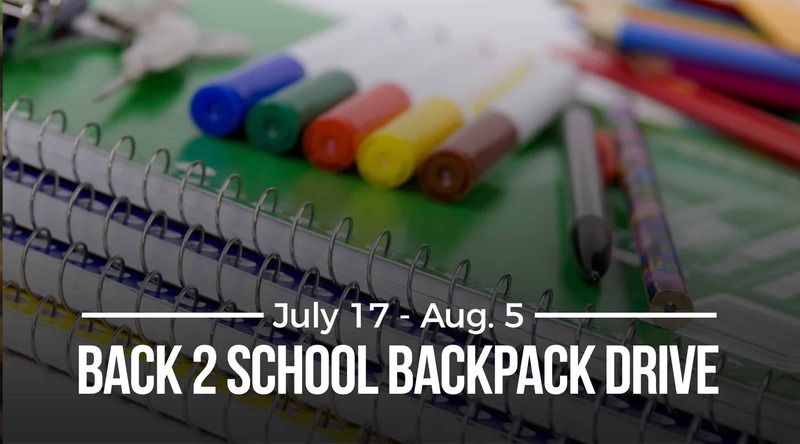 Along with the backpacks we’re donating, attendees at the expo can expect low-and-no-cost immunizations, school supplies, school information, games and live entertainment. Please help us reach our goal of 3500 backpacks by dropping your backpack off at the aquarium starting Monday. For any questions, call 210-310-3210 or email us at info@sanantonioaquarium.com. San Antonio Aquarium supports the community through popular annual scholarship programs and field trips for school aged children. In addition, all foster children and teachers get in free any day of the year. For more information, listen to our radio ad below.